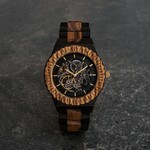 Limited 1st Edition - 100 pieces available. Our most advanced watch yet. 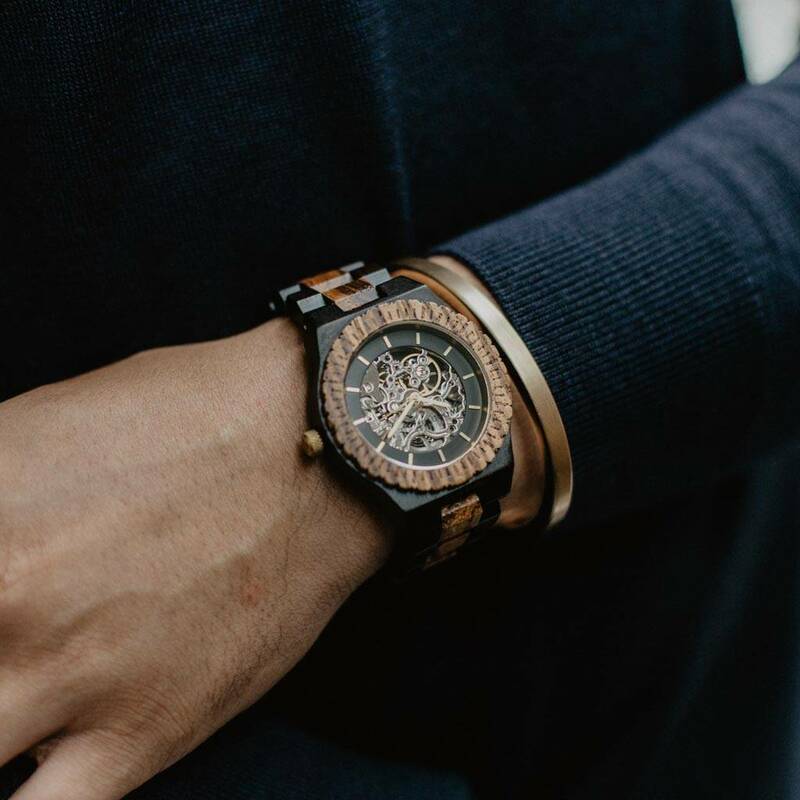 Our Limited 1st Edition AUTOMATIC Voyager features a 21 jewel self-winding automatic mechanical movement with a 36 hours power reserve. 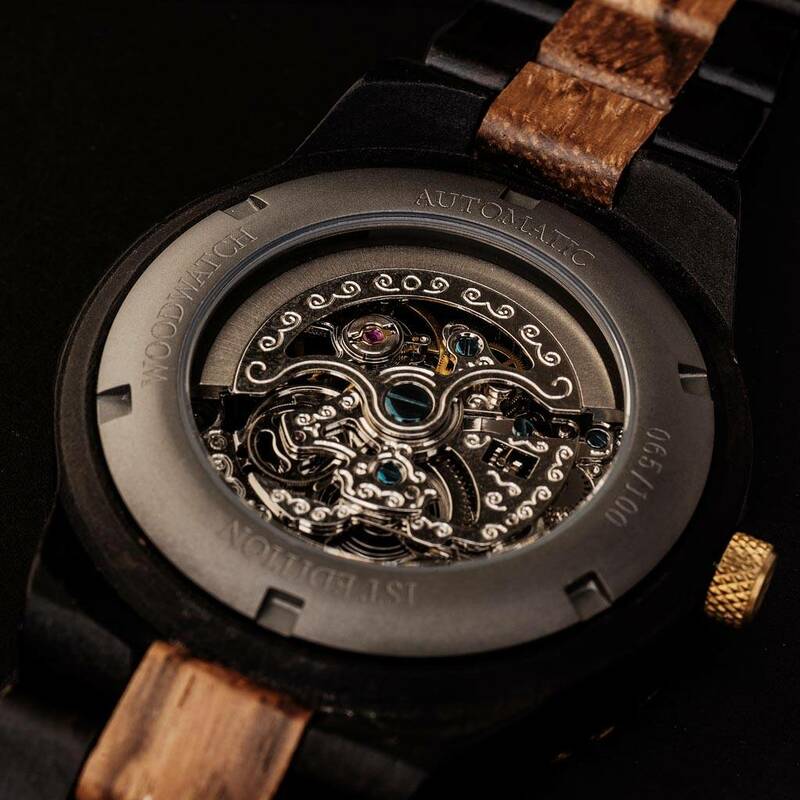 The open heart (see-through) dial has a sapphire coated glass on top and a backplate that is engraved with a unique number for each watch (1 - 100). The watch is automatically charged on the go by kinetic energy of your wrist, meaning no battery is needed to charge the watch. 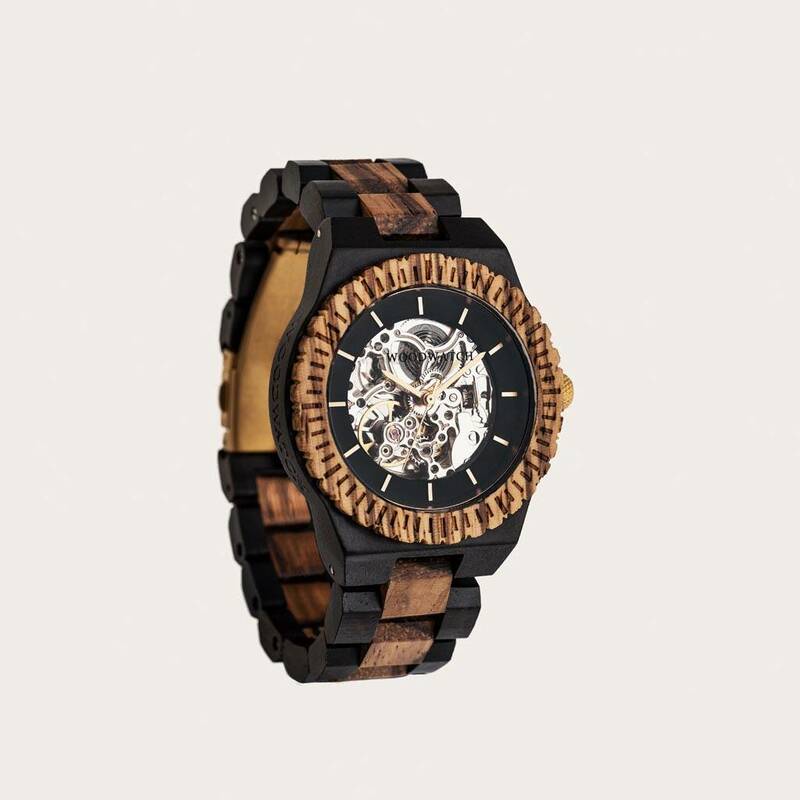 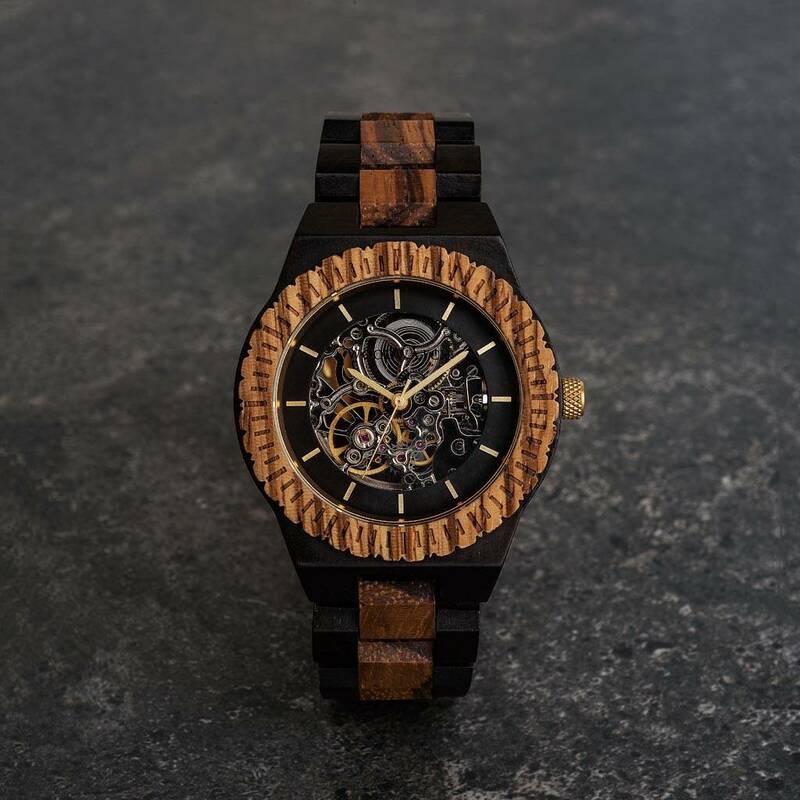 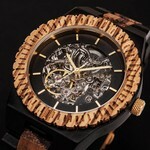 The AUTOMATIC Voyager is made of African Zebra and Ebony Wood with golden details. 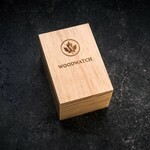 Limited 1st Edition, limited availability. Each watch uniquely numbered and fully automatic with a 21 jewel movement. 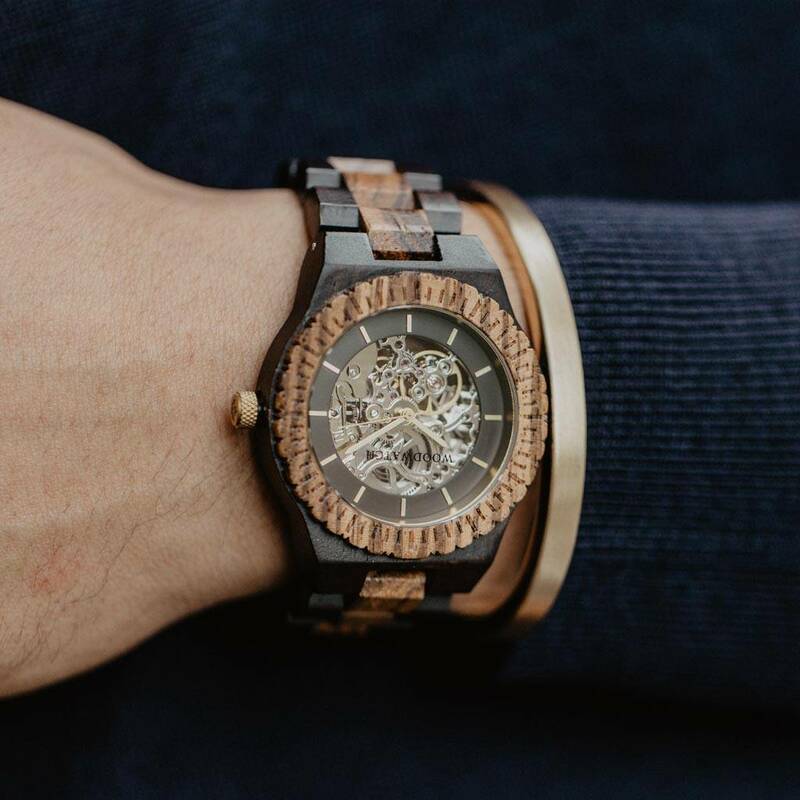 Our most advanced watches yet.